The photo in the New York Times was so tempting that we immediately knew we had to try this dish. 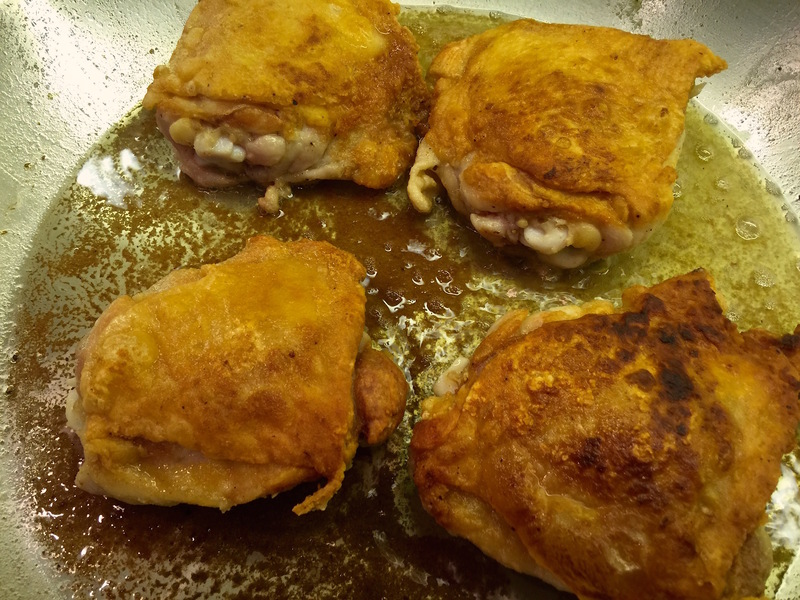 But there was a problem––the recipe was bare-bones: Brown 8 chicken thighs, 3 cups shallots, add wine, tarragon, and Dijon. 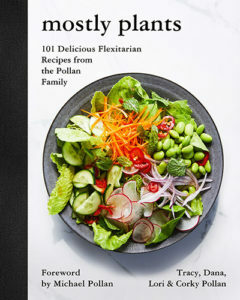 A short search revealed the recipe was Rishia Zimmern’s, the wife of chef and food writer Andrew Zimmern, and that it owed a debt to an earlier recipe of Martha Stewart. Cooks often make changes and additions to recipes they like, and we had some changes of our own. One-pot dishes are a Pollan favorite, so by adding two cups of kale and a can of organic chickpeas we transformed this dish into a complete skillet meal. 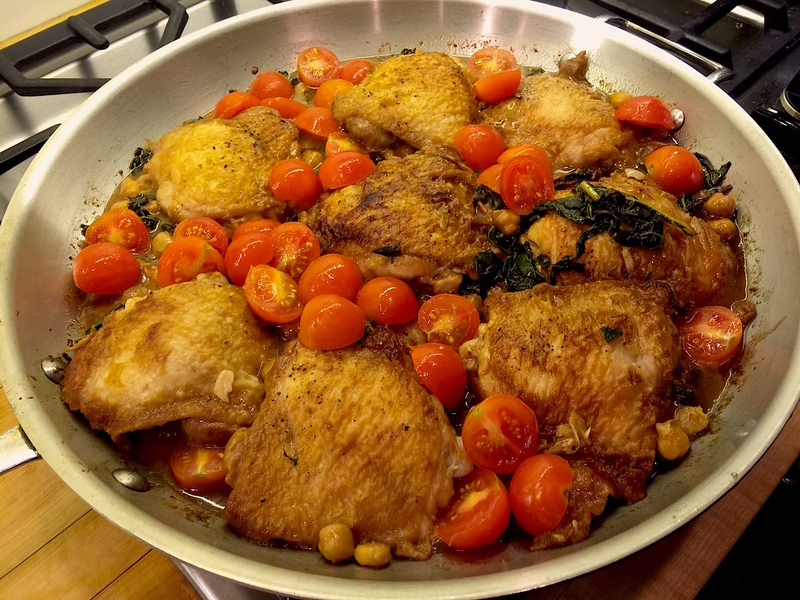 It’s now one of our all time favorite chicken recipes–the mix of kale, chickpeas, shallots, wine, mustard, and tomatoes makes for a fabulous combination. 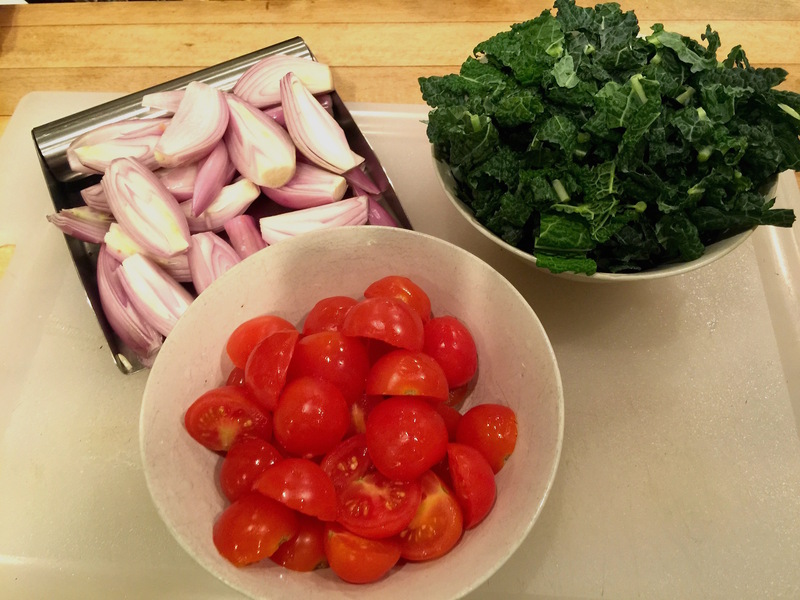 Mise en place–the vegetables ready for the skillet. We cook the chicken thighs until they’re browned and crisp. 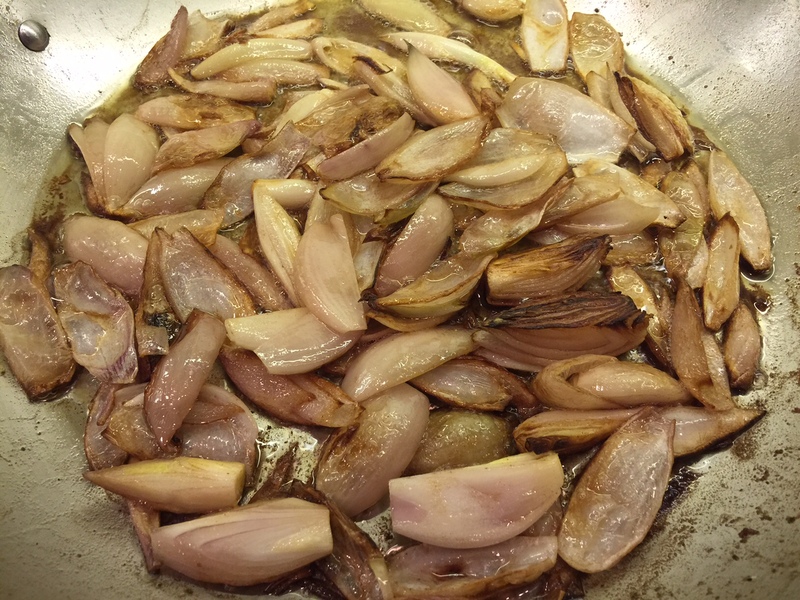 Next, we soften and caramelize the shallots. In a small bowl add the flour, 1 teaspoon of kosher salt, and 1/8 teaspoon of pepper, and lightly sprinkle the chicken on both sides with the seasoned flour. Place a large skillet over medium-high heat, add the oil, and when shimmering add half of the chicken thighs, skin side down. Cook for 10 to 12 minutes, without turning, until the skin is browned and crisp. Using tongs, flip the chicken and cook for 4 additional minutes on the other side. 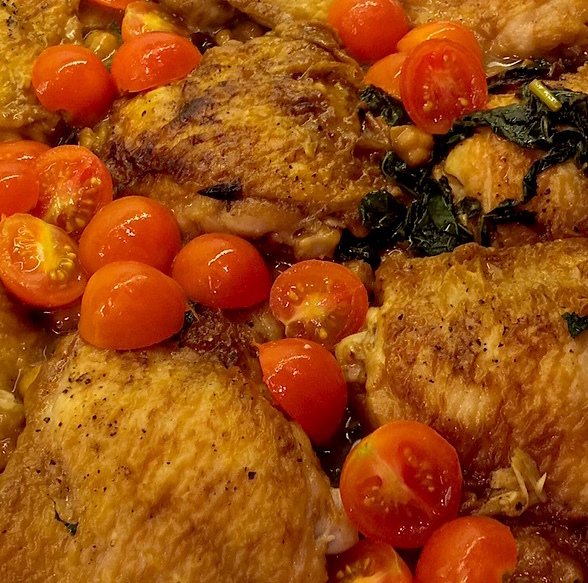 Transfer the chicken to a plate or platter and repeat with the 4 remaining thighs. Remove those to the platter once browned. Add the shallots to the skillet and sauté over medium-high heat until soft and caramelized, 10 to 12 minutes, add the garlic and cook until softened. Pour in the wine, deglaze the pan, add the chicken broth, the mustard, kale, chickpeas, tarragon, chicken, and any accumulated juices. Reduce the heat to low, cover the pot and simmer for 30 minutes until the chicken is tender. Remove the cover, add the butter and the tomatoes to the skillet, and allow the sauce to thicken, 12 to 15 minutes. Transfer the chicken and the vegetables to a platter, spoon on the sauce, and serve.